Experience an uncommon perspective on Tuscany, standing in a basket thousands of feet up in the air, looking down at forests, vineyards and historic towns. 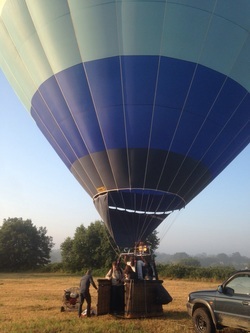 An Hot Air Balloon Tour is something you and your loved ones will never forget. Then delight your senses with a glass of Prosecco and a breakfast to remember with freshly made pastries the same morning by our local bakery or a pic nic after the flight. Private Flights are possible. Ask for custom quote. You can choose to fly from Cortona or from the location you prefer! Our staff will confirm or suggest the better location. Tasting of food and wine on board can be possible by request. Children must be aged 7 or over and at least 100 cm tall to be able to fly.